'Old In Art School': An MFA Inspires A Memoir Of Age Upon retiring from Princeton University at age 64, historian Nell Irvin Painter decided to pursue a second career in visual art among students a third of her age. This wasn't just an adult extension course. First, she went to the Mason Gross School of the Arts at Rutgers for a new bachelor's degree, and then Rhode Island School of Design for her MFA. She is now a real-life, income-producing professional artist, and has written a memoir about going to art school with students a third her age, and how art school changed her view of what she thought she already knew. 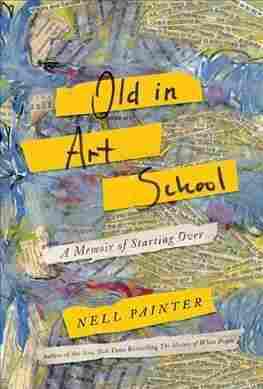 Nell Painter spoke with NPR about Old in Art School: A Memoir of Starting Over. Let's say, why not take a class at the Newark Museum? Well, I did. I tried taking a pastel class. But I found that I needed to do a different kind of art — you can call it contemporary art, if you wish — I didn't know what to call it at the time. But I knew that I wanted in my art more than just the look of things. I wanted people to be able to look at my work for a long time and then discover what they were seeing — and what they were seeing didn't have to be what I had put in the work. Simon: You're a child of the age of Aquarius. I'm older than the age of Aquarius. I'm the age of black power, and "Africa must unite" and — so I straightened my hair. Because I could kind of just feel — nobody told me, I could just feel that in art school, in that world, my natural hair seemed kind of 20th century. It was akin to my great handicap, which was my 20th century eyes. I really had to bring my eyes into the 21th century, which was a long-running process that is still going on. So I changed and the way I look changed. 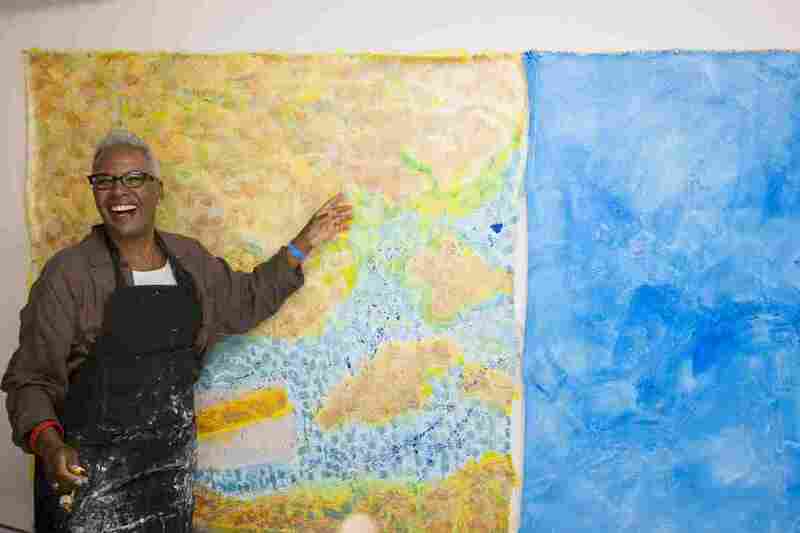 Upon retiring from Princeton, Nell Irvin Painter attained a bachelor's degree and MFA in visual art. Yeah, how innocent can you get? And for a little while it did, until it didn't. I think it's hard for a lot of Americans to face up to the fact that the culture we live in is inherently racist and sexist and ageist. It always comes as a kind of nasty surprise. And it's silly of me to say it, that it came as a nasty surprise to me. I should know better. But then again, if I hadn't been surprised, that would have made me kind of a cynic, and I'm not a cynic. The first thing that happened was that I got put in one of those situations. Now, the situation today is a white woman on her phone calling the police because some black people are living, or just being. So I went to the printmaking studio, and — I mean, this is so trivial, this is so trivial — I went to the printmaking studio [at night] ... and the place was empty. And the little [student] monitor asked me if I was taking a class. It was a kind of obstacle that I recognize, and many other people of color will recognize, which says: Explain or justify why you are here. And it really annoyed me. And once the scales fell from my eyes and I returned to my society, it seemed quite trivial. But it made a difference at the moment. It hasn't come together finally. There's no end to this, and it changes over time. My relationship with history as I used to write it, and as I sometimes use it in my work — that was something that took several years, actually, for me to feel comfortable with. And as I continued to wrestle with it and to deal with it visually, it's that I can do whatever I want to the figure; I can do whatever I want with history. As a historian, I had to be faithful to the archive. And I felt that when I was writing history, that what I was saying needed to stand for larger truths. I don't necessarily feel that way now. I hesitate there because 2017 changed my relationship with my times in my art. I would say first of all, how much can you tolerate? How much can you afford in terms of money, in terms of time and in terms of energy? How's your health, for instance? Can you stand psychologically being totally ignored? So those are questions to ask. But they're so easy to answer. And there's so many ways to do new things. You don't have to do it whole hog like I did. There's so many ways. Yes, you can do it, but also know: It can be very sobering. Because being old in our society — it's not for sissies. Sophia Boyd and Barrie Hardymon produced and edited this interview for broadcast. Patrick Jarenwattananon adapted it for the Web.